A new book by Associate Professor Julien Le Maux (Accounting) takes an approach that combines three topics: governance, the quality of financial information, and fraud. 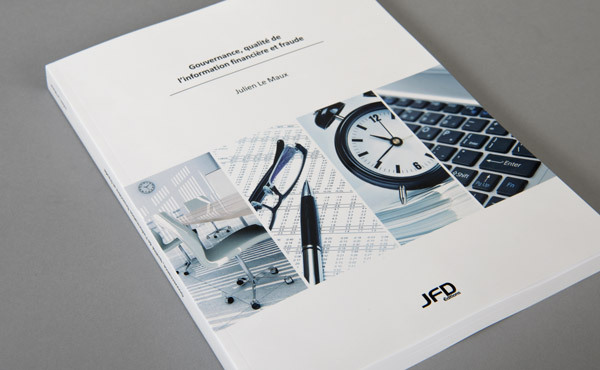 The first part of Gouvernance, qualité de l’information financière et fraude presents different analysis grids for evaluating governance quality and the risks associated with poor management of power and conflicts of interest in a company. The second part is devoted to the quality of financial information. The goal is to learn how to properly read and interpret the results posted by organizations. The third section looks at the battle against fraud, exposing different fraud techniques and describing the tools to detect them. Different case studies also let readers put all the concepts and tools in the book into practice. Professor Le Maux holds a PhD in Management Science and a Master’s in Finance from Université Paris 1 Sorbonne, as well as a Master’s in Business Law from Université 2 Assas. He is a certified fraud examiner (CFE) and a certified administrator (C.Adm). Before joining HEC Montréal in 2008, he was a senior lecturer at Université Paris 1 Panthéon-Sorbonne. In 2014, he received an honourable mention in the university textbooks category, in the awards presented by the Minister of Higher Education, Research and Science, for his previous book, Analyse financière, published by Éditions Chenelière Éducation. Gouvernance, qualité de l’information financière et fraude, published by Éditions JFD, is available at COOP HEC Montréal.